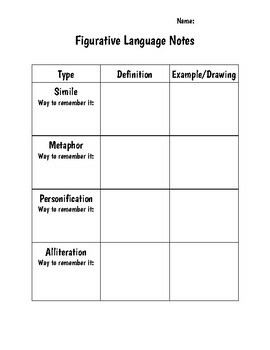 This can be used as a supplement to a lesson for figurative language. 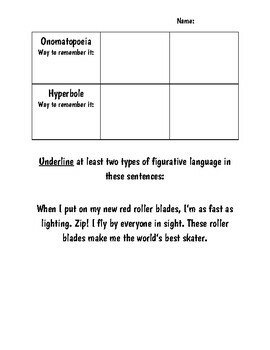 Teachers can have the slideshow on the board and read it aloud to the students as they complete this notes sheet. The slideshow is a separate product.